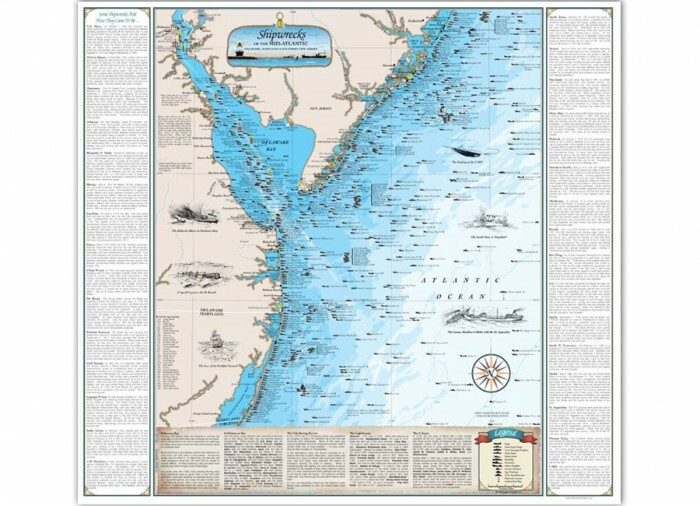 Plan your next adventure with the Shipwrecks of the Mid-Atlantic map from Sealake! 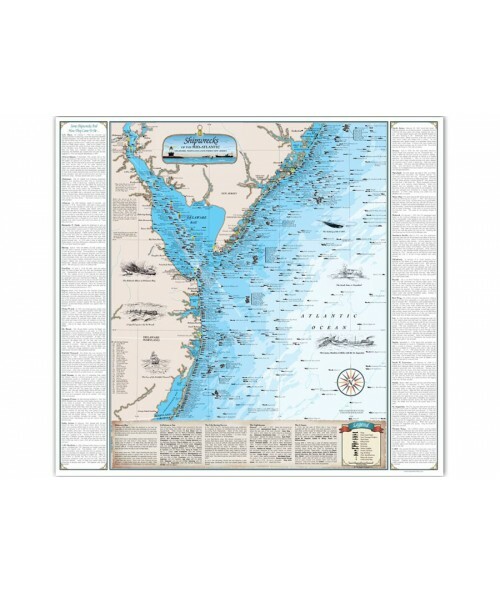 This nifty map is jam-packed with stories about doomed and intriguing shipwrecks from the coast of Delaware all the way down to southern New Jersey! Included are famous drawings of shipwrecks such as the Andrea Doria, U-869, Vizcaya, Morro Castle, Sindia, New Era and Rio Tercero! 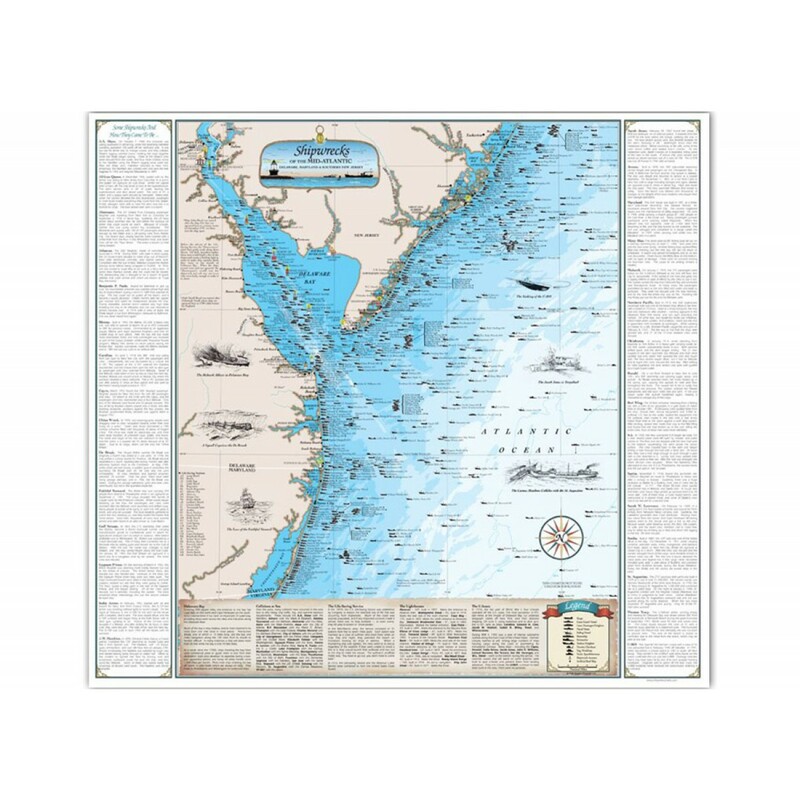 At 24.5" x 23", this map is fully-colored in vibrant detail.This map makes a perfect gift for anyone who is interested in tales of smuggling and intrigue on the high seas! Size : 24.5" x 23"